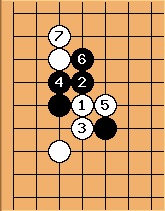 ...the cut at White 1 is troublesome if the ladder is bad for Black. 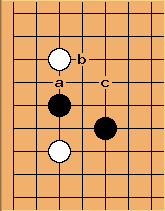 In both diagrams, the cut should usually be a big success for White. Charles Isn't Black 4 in the last diagram questionable? And 6? And 7? 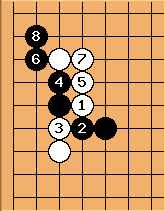 Discussion now at Heavy play example.